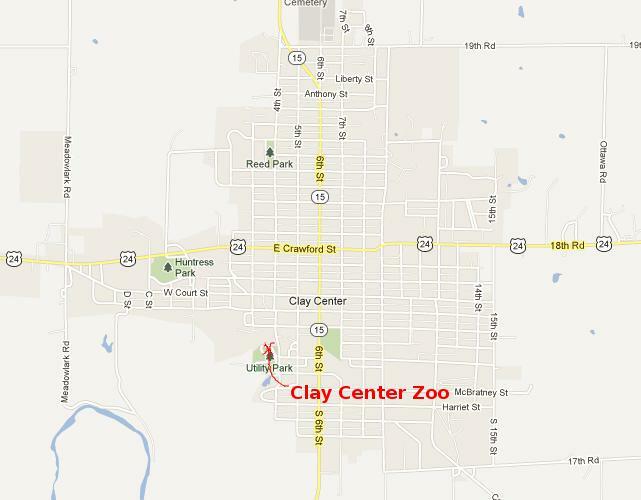 The Clay Center Utility Park Zoo in Clay Center, Kansas is funded and run by the Clay Center Utility Company. It is part of a park across from the power plant. The zoo has some positive features and every animal appeared healthy when I first visited the zoo in 2006, but a number of the animals were kept in barren cages with nothing but cement and steel. There was little to provide a quality of life for those animals. One of the largest cages had two squirrels and an enormous wheel. The squirrels seemed to have a ball. Keep a close eye on children at the Clay Center Zoo. It is possible to easily reach into most cages, even the wolf's cage. The best things about the zoo are its hours (9 AM - 8 PM), and that it is free. A visit will not take very long, nearly the entire zoo is visible in the photo above. Badger in one of a row of barren pens. Many of the birds were running wild and must turn up around the neighborhood. In December of 2007 there was some heated blogging as a new Clay Center, Kansas resident complained about the zoo conditions while other local residents are proud of the zoo. I revisited the Clay Center Zoo in January and found things to be still much as I found on the first visit. 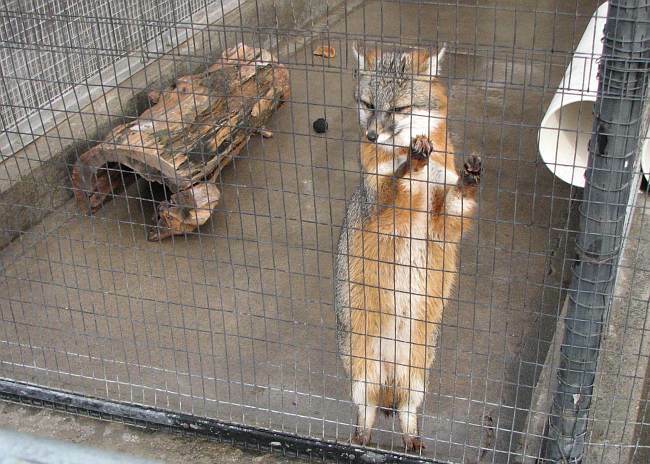 The animals appear healthy, but many of the cages which were thought adequate when the zoo was built in the 1950s are inappropriate for housing wild animals and showing their behavior. 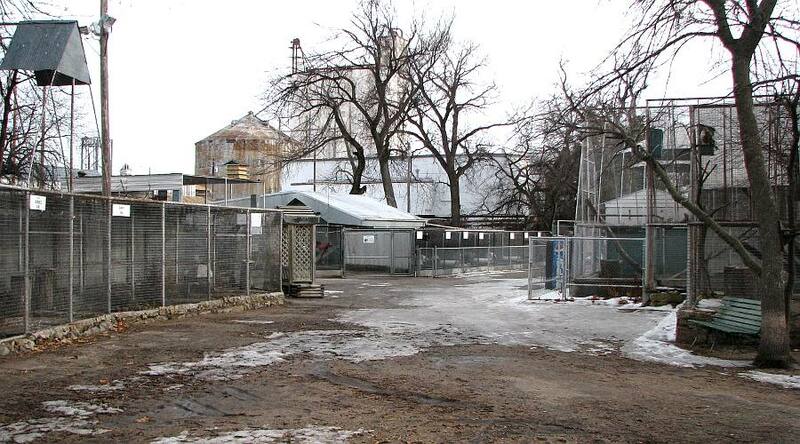 Some of the cages are simply kennels. The zoo has not aged gracefully. 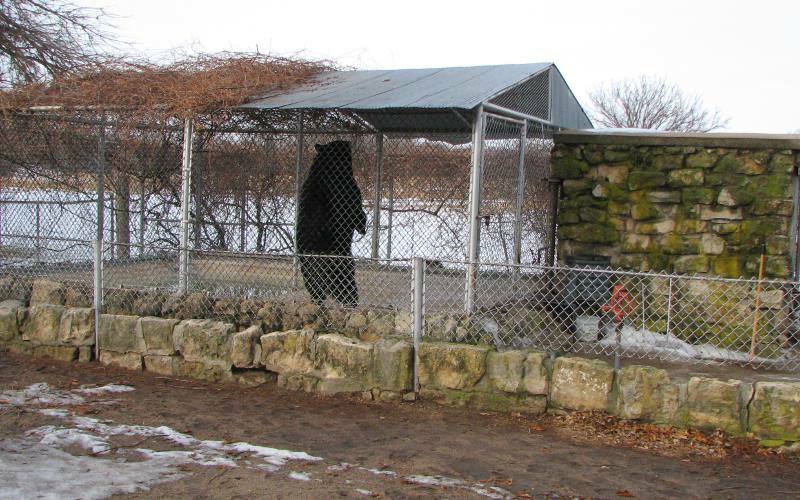 More recently the Clay Center Zoo added a black bear which has taken over the cage previously used by the otters. The Public Utility Commission has acquired acres west of the park to allow future growth and expanded park facilities. There has also been a fund raising campaign to expand the zoo and cover increased operating costs brought on by enforcement of USDA rules by a newly appointed inspector. One of those costs is that the Clay Center Utility Park Zoo must have a person on duty during all hours of operation. The fund raising fell short of the goal, but plans for improvement continue. As of our last visit in February 2016, no improvements were obvious. 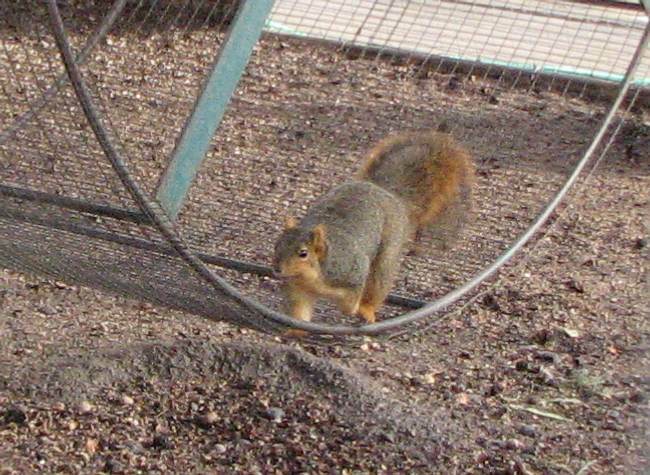 The squirrels still occupy one of the largest cages and appear happy.